In an interview with Entertainment Weekly, Jason Momoa spoke of his experience wearing his Aquaman costume that is not quite the heroic life we imagine. Amber Heard also recalled some difficulties when it came to her own Atlantean outfit, saying the costume is quite restrictive. “It’s a whole other level of functional art,” she said. “They’re so intricate. You have to move in it, you have to breathe in it, you have to live in it.” Aquaman cosplayers be warned! “It looks like it’s easy to pee in that,” Momoa responded to Heard, pointing to his suit. “But really it’s not. And if you have the poopsies, it is very challenging. You’ve gotta be really good at holding it. So, some of those little fun facts you might want to know. That’s definitely one of the challenges,” he said. “Try wearing a corset,” added Heard. 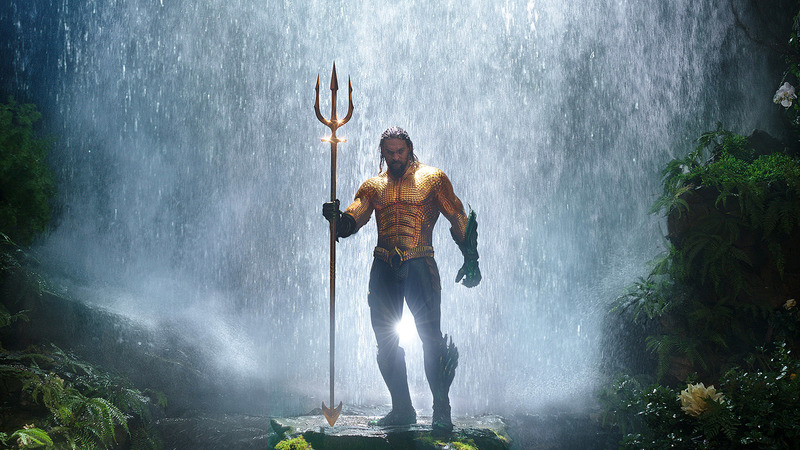 The superhero, who is depicted as an Atlantean outcast in the film, is covered from head to toe in Aquaman’s costume of armor that is primarily green and bronze in color. Instead of scales covering just parts of the Aquaman costume as in previous versions that just covered the top or bottom, the pattern decorates every facet of the armor set in the Justice League Aquaman Costume. Aquaman looks to be arriving in cinemas next month on a wave of strong anticipation. In response to this positive reception, box office analysts have adjusted their predictions, with James Wan’s film now said to be headed for an opening weekend haul of at least $100 million. As much as Momoa complains about his costume he has already floated ideas for a sequel. We’ll find out if his suggestions stand a chance of reaching the screen once Aquaman hits theaters on December 21st.